We Clear Blocked Drains Fast and Affordably! 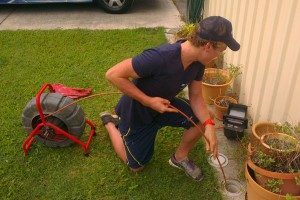 Blocked Drains Stafford are specialists in blocked drains diagnosis and clearing we operate throughout South East Queensland from North Brisbane to Tweeds Heads. All our vans are equipped with High Pressure Water Jetters and CCTV Drain Cameras. At Jetset Plumbing we fix all kind of blocked drains. 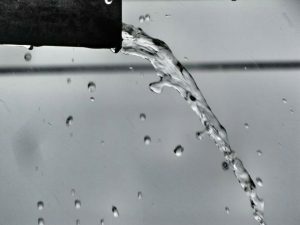 We clear all kinds of blocked pipes from sewer drains, storm water drains, toilets, showers, sinks, gutters and downpipes. If drains aren’t cleaned out they can produce unpleasant smell, causing you’re shower or bath to slowly drain and changing the water level in you’re toilet. Blocked drains can become a problem and difficult to deal with. A blocked drain can cause or bring out existing health issues that a person may already have. To clear a blocked sewer or stormwater drain Blocked Drains Stafford use the latest technology drain clearing device, the 5000psi High Pressure Water Jetter. Our Stafford plumbers will clear your blocked drain, flush out your entire line and have your pipes flowing as good as new! Its just like a high pressure car wash for your sewer or stormwater pipes! The High Pressure Water Jetter can cut through tree roots, debris and waste build up. Plus its more aggressive on blockages and much gentler on your pipes than the old Electric Eel method! Blocked drains Specialist at Jetset use high pressure jetters for clearing sewer and drain lines using high pressure water jetters. Jetset Taking care of blockages across Brisbane and the Gold Coast region, we are a family-owned business specialising in unclogging your drains and pipes. Blocked Drains Specialist is operated by fully licensed plumbers who can attend to all aspects of drainage problems including the clearing of all internal and external drains. We provide servicing in domestic and commercial properties. Whether you have a blocked kitchen sink or a blocked sewer we are in your local area. Jetset will respond Sameday guarantee and get you up and running again. Blocked Drains Specialist pride themselves on being able to unblock any kind of drain in the Brisbane regions. Blocked Drains Specialist have the best equipment for clearing all your drainage blockages and other plumbing related issues. Any blocked issues that may result in an annoyance or inconvenience to your life, for example tree roots can be a common cause of blockages. Visit the Plumber Stafford resources websites for more information.